"What does it mean to have a square pendulum? "I honestly have been looking forever to find out about this (whether my pendulum will still work if I glue it back together) but I also want to know what it means to have a square pendulum? He is really picky about who he likes and what questions he will answer." Thank you for contacting healing crystals! If your pendulum is not performing the way you wish, I have a few recommendations. Firstly, smudge it! I would smudge before and after every use so that it is cleared for every new session and person. As well, make sure you set an intention and have a clear question that can be replied with yes or no. Having a really clear question, I find, is key. I also recommend getting to know that crystal. Try meditating with it! 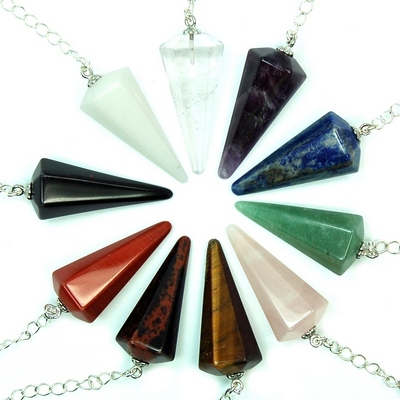 Here is a great guide to pendulums with some really helpful tips.